‘The First Phone Call From Heaven’ Gets The Big Screen Treatment!! Mitch Albom is a name that avid readers will recognize. His breakthrough novel, ‘Tuesdays With Morrie‘, was adapted by Oprah Winfrey became the most watched TV movie in 1999 earning four Emmy Awards and spawning an Off-Broadway play. Albom’s written work is once again being adapted, this time, for a feature film. 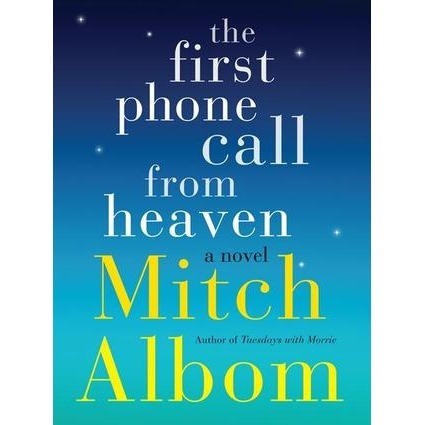 Warner Bros picked up film rights to ‘The First Phone Call From Heaven‘ published last November. The book opens on a morning in the small town of Coldwater, MI, when the phones start ringing and the voices say they calling from heaven. While each call is greeted differently — some with love, some with religious zeal, some with fear — a grieving single father with an inquisitive and hopeful son takes it upon himself to uncover whether these callers are hoaxers, or they are really dialing long distance. In theory, it’s a nice story-line. However, it reminds me far too much of Joe Hill’s novel ‘NOS4A2‘. If I start getting strange phone calls, my mind is going to Christmas land and Charlie Manx. I am clearly marked permanently by books I read and the good ones, stay with me. Regardless of my thoughts on phone calls from impossible places, if I were to ever receive a call from heaven, I would not react well. This book has definitely found it’s niche with readers and Hollywood has noticed the spiritual shift and demand for films of this caliber. 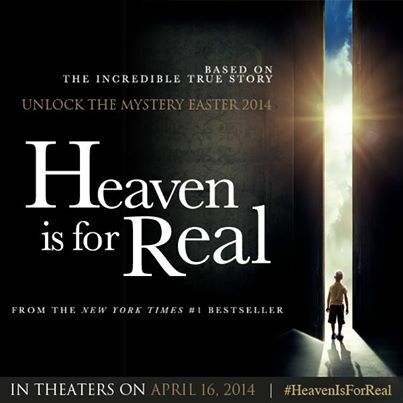 Sony Pictures is releasing ‘Heaven Is For Real‘ next month. Based on a bestselling book by pastor, Todd Burpo, who writes how his son survived a near-death experience and began describing his experience in heaven, including things about family members he should not have known. Summit Entertainment has thrown their hat into the mix with rights to the William Paul Young novel ‘The Shack’. This story centers on a man reeling in the aftermath of a devastating tragedy when he is invited to a shack and finds himself face to face with God. Movies go through phases, and right now, it seems that audiences everywhere are very much in demand of stories promoting a higher power. I have a feeling this genre is going to have some serious staying power with audiences. As long as film makers can make a buck on this ideal, they will all be scrabbling to produce the next enlightened film. Faith-Based Film ‘The Shack’ Debuts Trailer!!! ‘Empire of the Summer Moon’ Next Up For Derek Cianfrance!!! ‘Live Fast Die Hot’ Being Adapted At Warner Bros. For Anne Hathaway!!! This entry was posted on Thursday, March 27th, 2014 at 12:09 pm	and is filed under Books, Film, News. You can follow any responses to this entry through the RSS 2.0 feed. You can skip to the end and leave a response. Pinging is currently not allowed. « Nick Frost Signs Up For ‘Sober Companion’ From Fox!! !